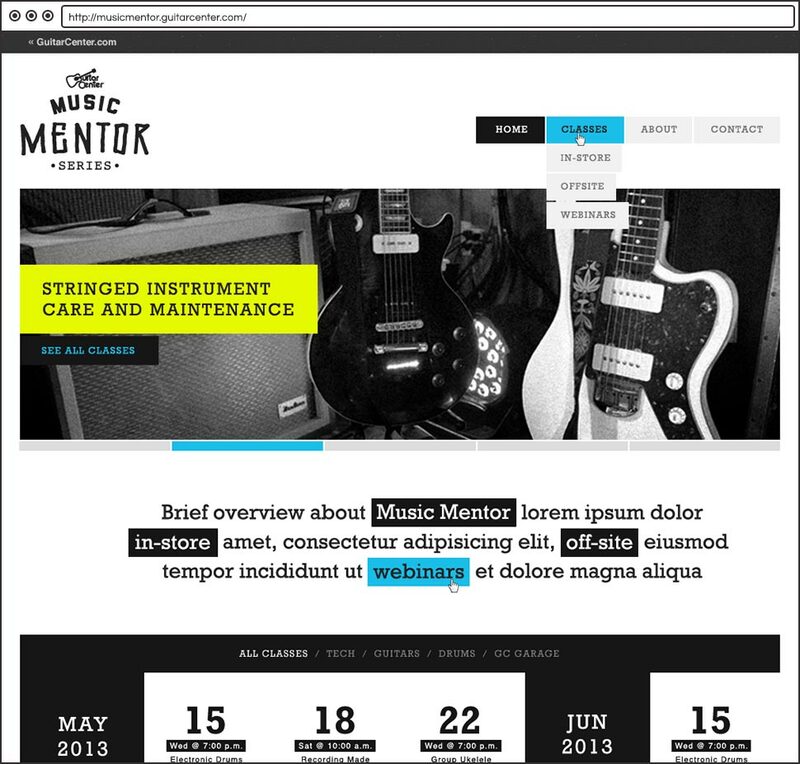 Guitar Center Music Mentor is a program offering free in-store and online music lessons. I was responsible for the research, ux and visual design. A main obstacle with the Music Mentor site was finding a way to display a class schedule that only concerned two days of the week. Using a traditional calendar would mean a lot of unused space. Finally I decided to display the schedule in a grid format as opposed to a seven day calendar. This better utilized the available real estate and allowed us to display more than one month’s schedule at a time. To give users the ability to sign up for more than one class at a time, I designed the registration process as a kind of shopping cart. To increase scan-ability, each class category was assigned a color. 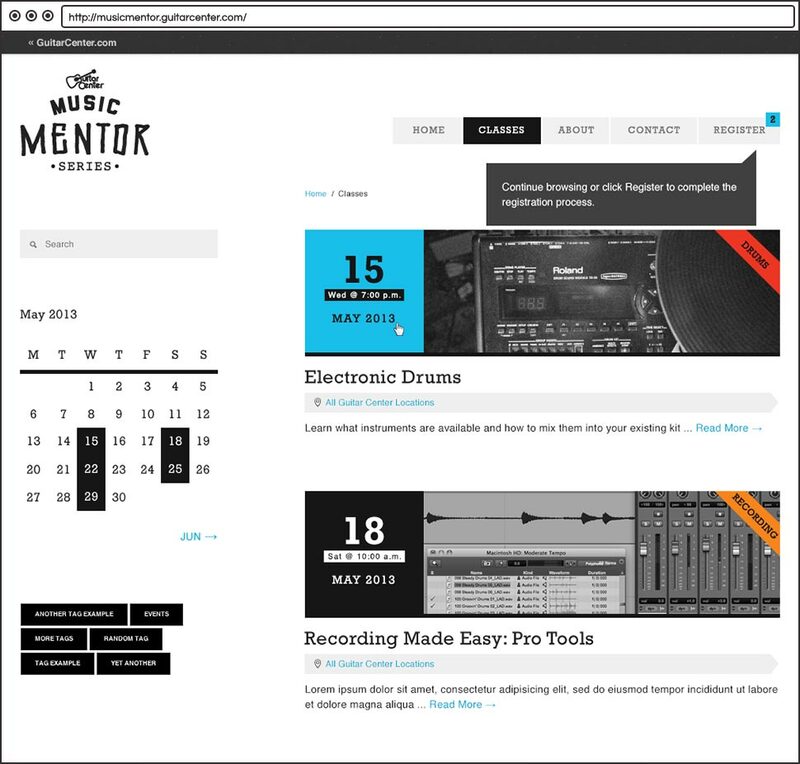 The Music Mentor site launched late 2013. Since pre-site baseline registration numbers were not made available, I unfortunately can’t speak to analytics. I can say customer reviews submitted via social media have been very positive.